There’s been a lot of speculation about the upcoming theatrical release of Dragon Ball Super: Broly and an equal amount of anxiety from fans about spoilers. I have to admit that it’s tough to avoid spoilers in the world of Dragon Ball fandom. Merchandise, magazines and advertisements tend to show off new forms, characters and even key plot points well before the movie comes out. The difficulty of avoiding spoilers is only compounded for fans living outside of Japan, who usually have to wait longer for the film to see release in their respective market. So if you’re adamant about avoiding spoilers, then stop reading now. 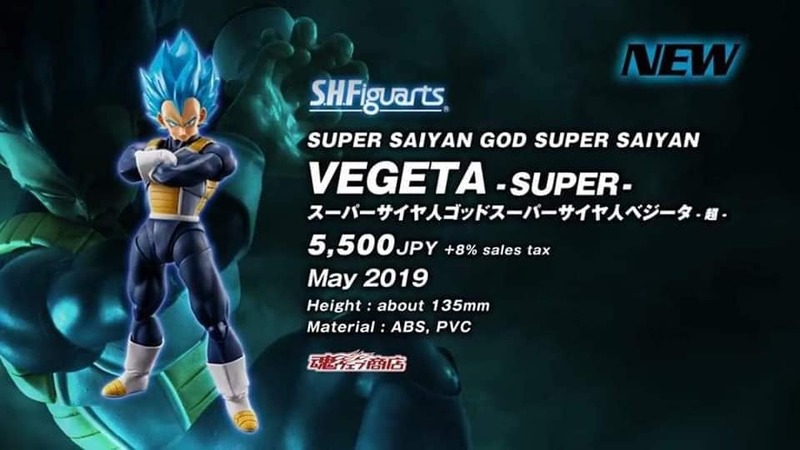 Out of the three, two will be regular releases with only Vegeta being a “Tamashii Web Exclusive”. 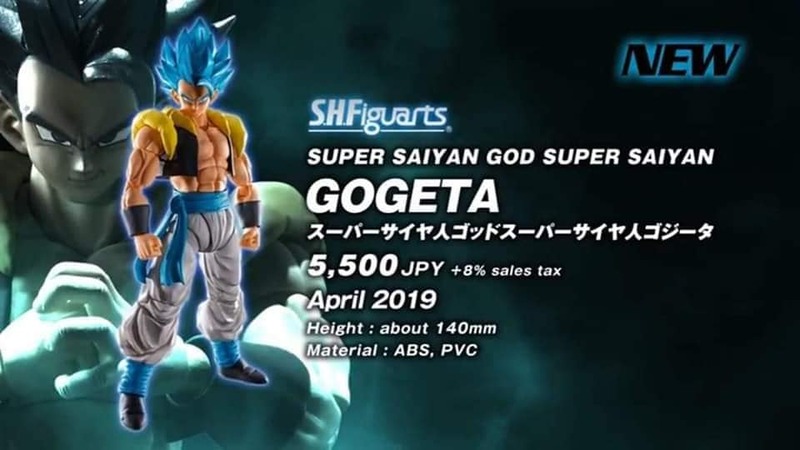 Like many of you, we’re especially excited to finally see a Gogeta figure in the S.H. Figuarts line up. Though we’re disappointed that it took Gogeta appearing outside of Dragon Ball GT for it to happen. Either way, I’m excited and I have a feeling you are too. Check out the picture below and let us know what you’re preordering first in the comments! 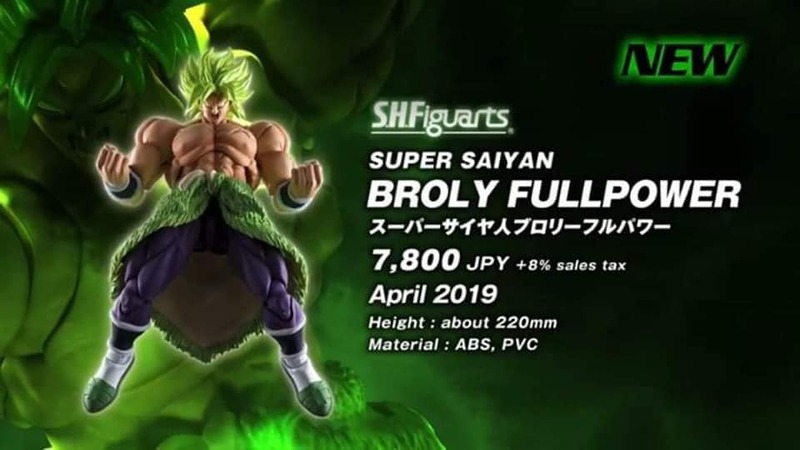 It was just a matter of time before the new Broly movie characters got their own figures. There’s a SSJSS for Goku too, but no release date. Hopefully it doesn’t become an exclusive. I really hope they release a SSG Vegeta with the Pink/Red hair eventually. Finally, where is Majin Android 21? Is it just me, or does Gogeta have black hair in the back picture? Yes because the figure will come with an alternate head. I went to the LA event today and they had the SSGSS Vegeta body with the Super Saiyan God head. Not sure if i can post links here but if i can ill post the pic. Looks good, except i was hoping they would come out with a separate figure for that since the body should be slimmed down as well.